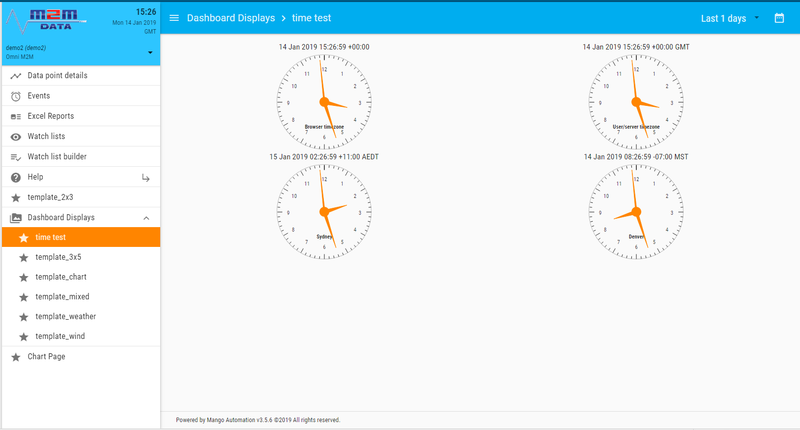 We are continuing with our Mango 3 configurations and we will have hundreds of dashboards in use when we are finished with our current list of displays that need to be recreated from our Mango 2 server. 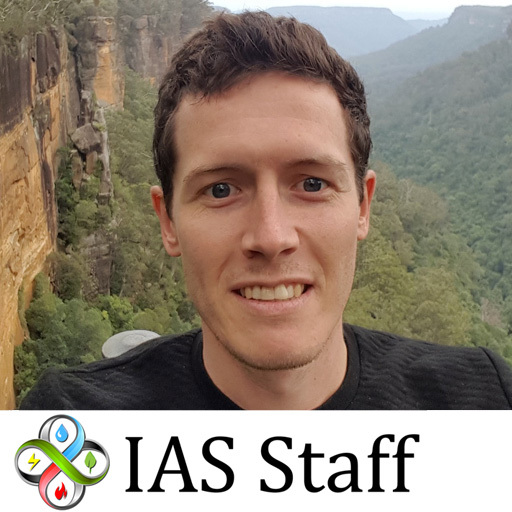 I am trying to keep the many groupings organised and not allow a huge list of dashboards to clutter the menu list. However, if i put the templates in the UI-Menu & toolbar folder the templates are visible. But this will make a very long template list for us to manage. I would prefer to organise the templates in to fewer and manageable folders. 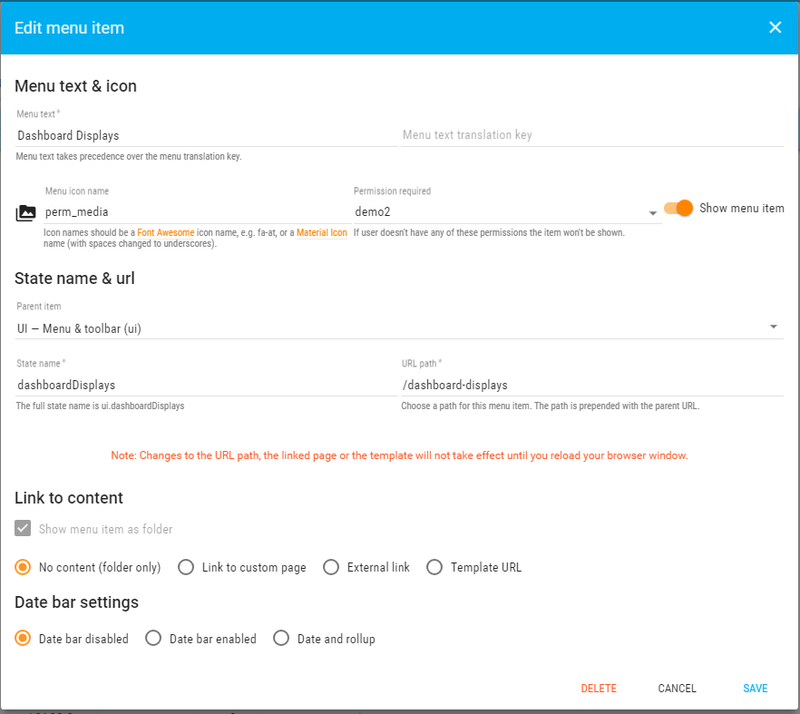 Please check if the UI- Menu toolbar folder has the correct read permissions, also check the pages have the correct permissions in the dashboard designer. Thank you for your reply. I have checked the permission and the user called demo2 has the read permissions for the appropriate places as shown in the previous screen shots. Also I need to point out that I am seeing this same effect when I use my superadmin account. 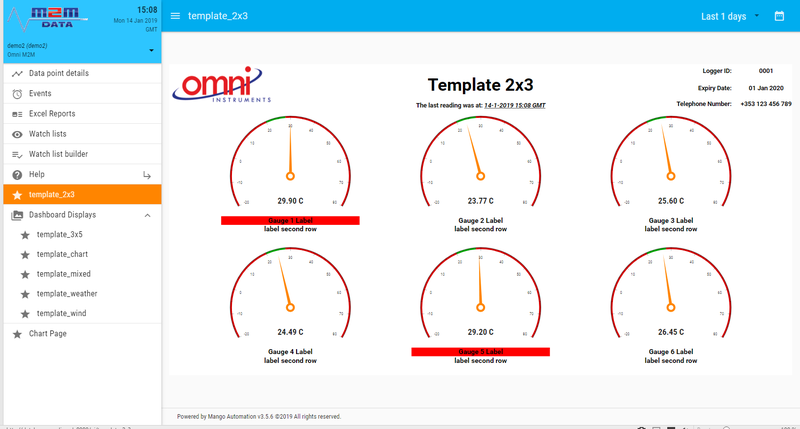 Superadmin cannot see the templates when they are listed under the Dashboard Displays folder. Do I need to create any folders in the Linux server folder structure when creating a menu folder item? Another point that I discovered which my help to narrow down the problem is that each of the templates that I cannot view was created in the Dashboard Designer from scratch. So is this a problem with my templates? If that's the case. 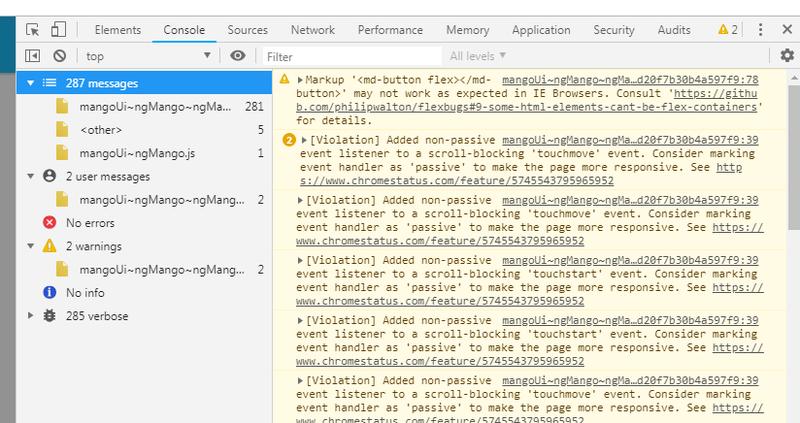 Can you replicate the issue again and check the browser console for error logs. Do you want to see entire message list? @BG doesn't seem like anything is amiss there in the console. 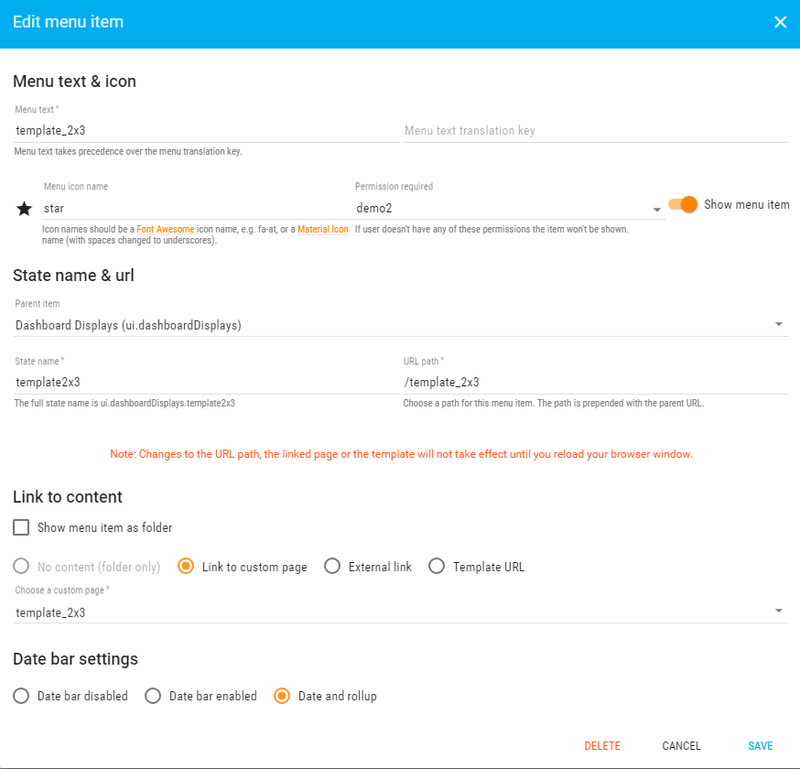 Can you post/send me the content of your mangoUI-menu (/ui/administration/json-store-editor/mangoUI-menu) and mangoUI-pages /ui/administration/json-store-editor/mangoUI-pages JSON items. Another thing that might be handy to see is if you inspect the page that isn't rendering and check if the markup is being retrieved and added to the page correctly. e.g. When I hover over a div section I do get a flag at the top of the screen but no element is highlighted on the page. see the screen shot below. Its probably an issue with the ma-scale-to attribute. 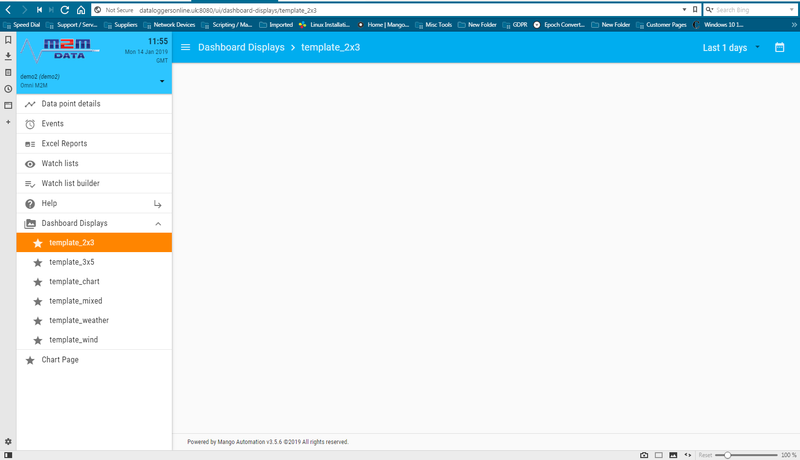 I take your point that the scale has reduced the display to nothing but how do I keep the page from scaling down so small when the template is put into a folder? @BG sorry should have been more clear, it is an issue with the UI module and I was looking into it. 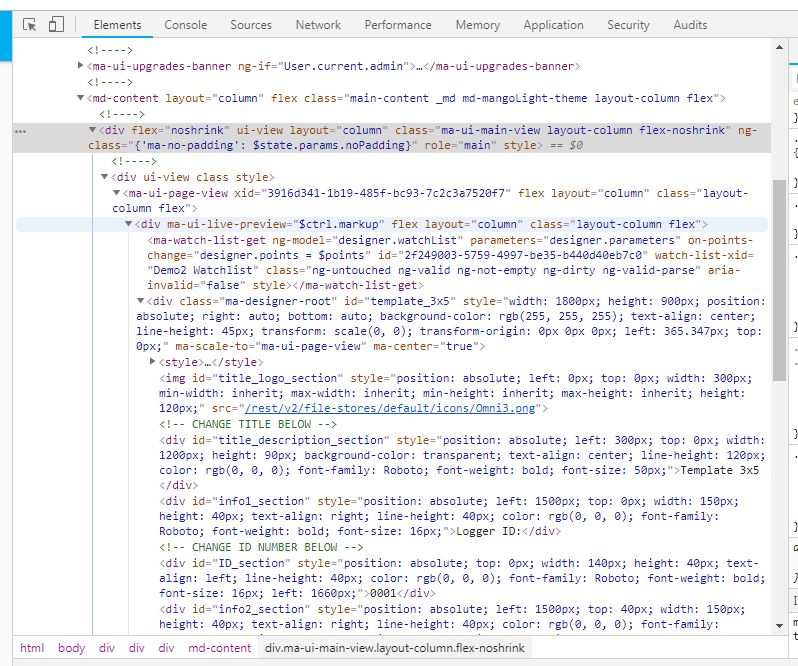 "template": "<div ui-view flex=\"noshrink\" layout=\"column\"></div>"